Even as Tweed empowers the likes of Eva Moskowitz to subvert neighborhood schools with her charter schools, the ones that need to renovate classrooms before they're suitable for the charter kids, our union, the UFT has partnered with California's Green Dot Schools. Like many charters, Green Dot offers smaller classes. This is an advantage unavailable to neighborhood schools. On a fair playing field, wouldn't public schools get them too? Also, I'll bet you dimes to dollars Green Dot/Moskowitz kids won't be studying in trailers, like my students. Moskowitz is correct, in fact, that kids need and deserve clean and inviting facilities. There is certainly a message sent by dumping kids into trailers, closets, hallways and bathrooms, and anyone who thinks kids don't get it simply doesn't know kids. And, of course, while creating a second class of student, there's also a second class of teacher. Moscowitz' teachers have no union. Green Dot teachers pay dues, but have no tenure and no seniority rights. In fact, the benefits of Green Dot teachers being unionized elude me utterly. So these charter chains certainly succeed in putting the needs of kids before adults. They also let kids know what sort jobs and rights they can expect to enjoy as adults. 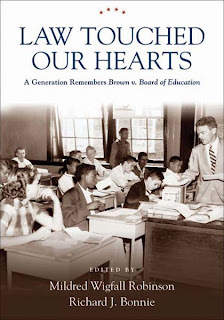 It's a grim and insidious little system, and you'd think Brown v. Board of Ed. had put an end to it years ago. Of course, anyone who thought that sorely underestimated the determination and resources of Mayor-for-life Michael Bloomberg.